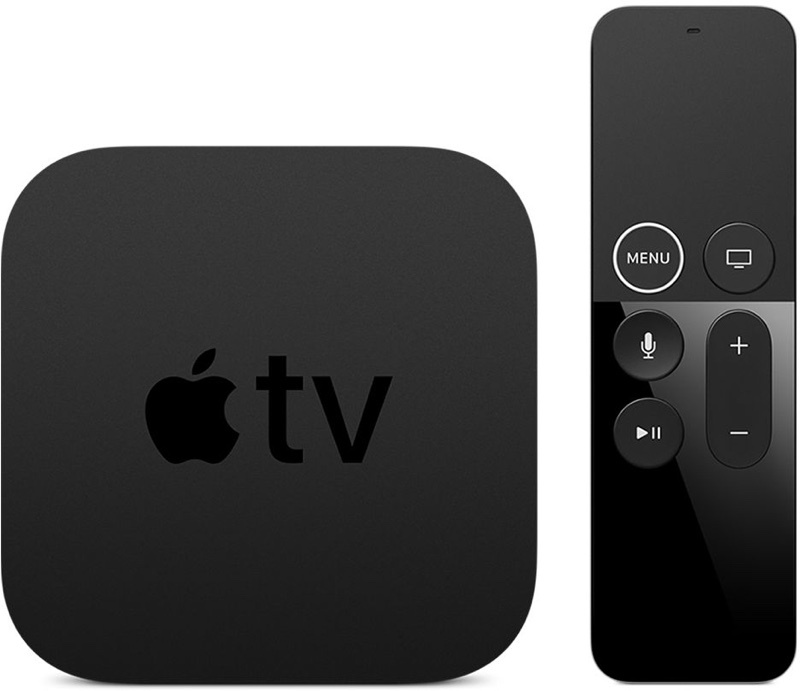 Apple is considering creating a lower-cost Apple TV dongle that's similar to the Amazon Fire Stick or the Google Chromecast, reports The Information. The company is said to be contemplating such a hardware device to promote an upcoming streaming service that's in the works. A lower-cost Apple TV dongle would make the service, which will be available only on Apple devices, more accessible to potential buyers. Right now, Apple's only television product is the Apple TV, priced at $179 for the Apple TV 4K and $149 for the non-4K version. Current TV dongles from Amazon and Google are priced much lower, at $25 to $35. If there is one thing Apple knows how to do, it's dongles. Can't wait for the Apple TV XR. Apple and cheaper don’t belong in the same sentence. Apple is considering creating a lower-cost Apple TV dongle that's similar to the Amazon Fire Stick or the Google Chromecast, reports The Information ('https://www.theinformation.com/articles/apple-considered-new-connected-tv-dongle'). Right now, Apple's only television product is the Apple TV, priced at $179 for the Apple TV 4K and $149 for the non-4K version. Current TV dongles from Amazon ('https://www.amazon.com/Amazon-Fire-TV-Stick-With-Alexa-Voice-Remote-Streaming-Media-Player/dp/B00ZV9RDKK') and Google ('https://store.google.com/us/product/chromecast?hl=en-US') are priced much lower, at $25 to $35. Rumors have suggested Apple is planning to roll out a streaming service next year, perhaps as early as March ('https://www.macrumors.com/2018/03/26/apple-tv-movie-programming-launch-march-2019/'), and it is set to launch ('https://www.macrumors.com/2018/10/23/apple-tv-service-coming-in-2019-100-countries/') in more than 100 countries in 2019. Apple may offer the streaming service on a standalone basis, or bundle it up ('https://www.macrumors.com/2018/06/27/apple-streaming-service-bundle-tv-music-news/') with Apple Music and an Apple News subscription that includes Texture, the magazine service that it purchased. Original television content created by Apple could be made available for free to iPhone, iPad, and Apple TV users through the TV app ('https://www.macrumors.com/2018/10/10/apple-tv-content-free-apple-device-owners/'). Apple is also negotiating deals to provide access to subscription channels like HBO and STARZ. For its streaming service, Apple has more than a dozen original television shows in the works, and it has inked deals with production companies for movies. A full list of all of the projects Apple has in the works right now can be found in our Apple TV roundup ('https://www.macrumors.com/roundup/apple-tv/#original_content_efforts'). How will they compete with the cross platform streaming services? They really think people will buy new hardware just for their streaming service? This is a mistake. The ATV 4 and ATV 4K are worth every penny. At first I was underwhelmed with my ATV 4 but I know use it more than my PS4. It is fast, consumes just 5W and I get my full internet bandwidth over 5 GHz ac. The quality of Netflix is superb on it. A cheap dongle like the Chromecast doesn’t belong in Apple’s lineup. They should stick to making premium products. Leave budget to everyone else. I love the fact that the Apple TV has wired ethernet, too. I like being able to plug it directly into my network and not have potential interference affect it when I'm watching stuff. Stuff like Chromecast and FireTV don't have that; you MUST use WiFi. This is a mistake. The ATV 4 and ATV 4K are worth every penny. At first I was underwhelmed with my ATV 4 but I now use it more than my PS4. It is fast, consumes just 5W and I get my full internet bandwidth over 5 GHz ac. The quality of Netflix is superb on it. If it has AirPlay support, I could see it being a success just for streaming from an iOS device to a TV. Surely the Apple TV doesn't cost that much to make. Apple could just give up some of the profit on it and cut the cost to $50.